Sandals has perfected the romantic resort experience, earning a worldwide reputation as the place where "love is all you need" because everything else is taken care of. If you're looking for the perfect romantic resort, look no further. For more than thirty years, Sandals has perfected the romantic resort experience for couples, earning a worldwide reputation as the place where "love is all you need" because everything else is taken care of. Having been named the Caribbean's Leading Hotel Brand at the World Travel Awards for a whopping 18 years in a row, Sandals Resorts is the recognised standard of romantic beach vacations. Enjoy all inclusive luxury vacations at Sandal's Caribbean resorts and see for yourself why they offer the most romantic getaways with more quality inclusions than any other luxury beach resort. With gorgeous white sand beaches, savory dining experiences, opulent accommodations, unlimited refreshing beverages, exciting water sports and more - it's no wonder why so many couples choose Sandals as their tropical escape. Your perfect family getaway awaits you at Beaches all inclusive Resorts in Jamaica and Turks & Caicos. Play on pristine, white sand beaches caressed by crystal clear seas. Spend your family vacation in luxurious rooms and suites. Enjoy a whole array of incredibly exciting and fun activities for kids of every age. 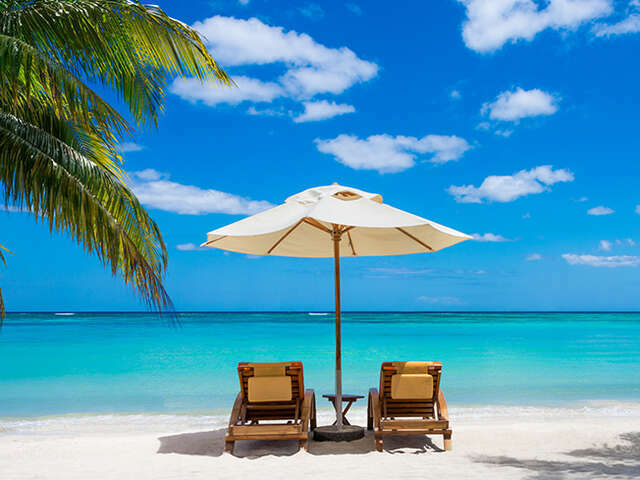 Truly, Beaches Luxury Included vacation package deals in Jamaica and Turks & Caicos promise unforgettable Family Fun beneath the Caribbean sun. Grand Pineapple - Affordable Family Vacations! The simple, unadorned pleasures of the islands await at enchanting all inclusive resorts in Jamaica and Antigua! Grand Pineapple Beach Negril and Grand Pineapple Beach Antigua provide colourful accommodations nestled amidst lush flowering gardens, and abundantly delicious food served up beneath the deep blue tropical sky. These delightful resorts in Jamaica and Antigua are among the most value-laden getaways in all of the Caribbean!